We spent the past two weekends camping, hiking, and just enjoying the mountains. It certainly is hard to come home when you’re surrounded by this beauty! 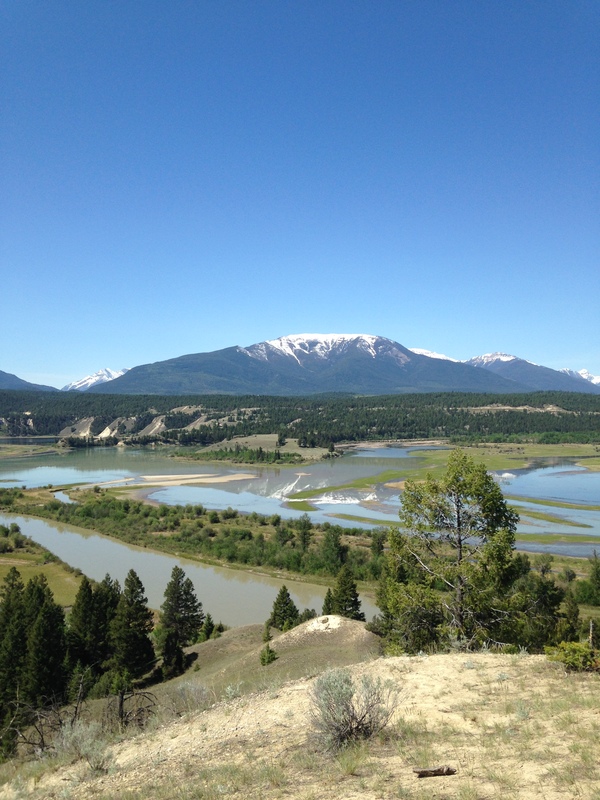 We’ve been going to Radium Hot Springs, a small village on the edge of Kootenay National Park in the Rocky Mountains in BC. 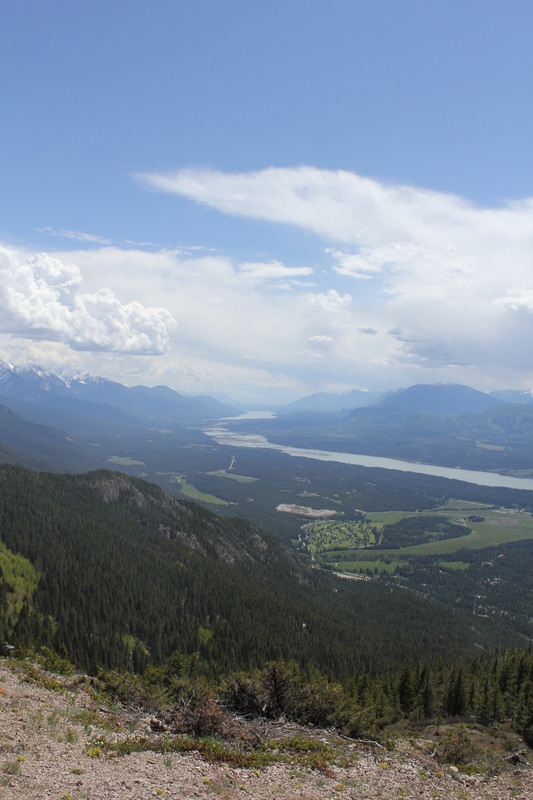 The weather is typically a lot warmer there than our beloved Jasper, so it has been nice to hike in shorts! 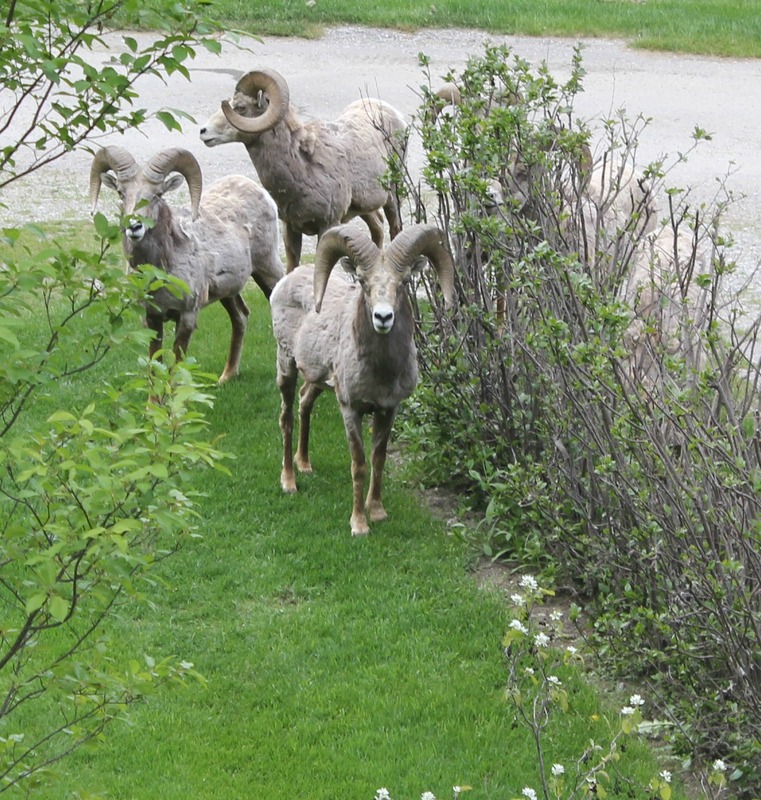 Two other things stand out: the varied flora and fauna, and all the bighorn sheep! 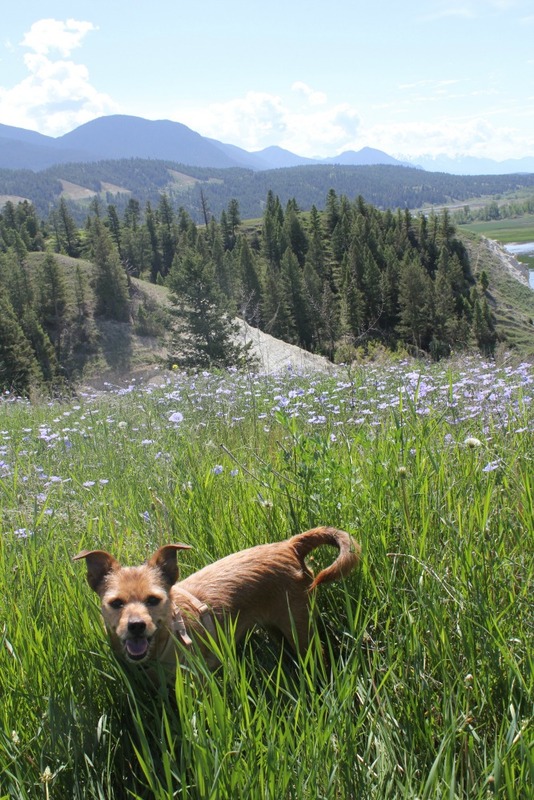 I think they’re Radium’s unofficial mascot, and they can be seen nearly everywhere from the trails to walking the streets. 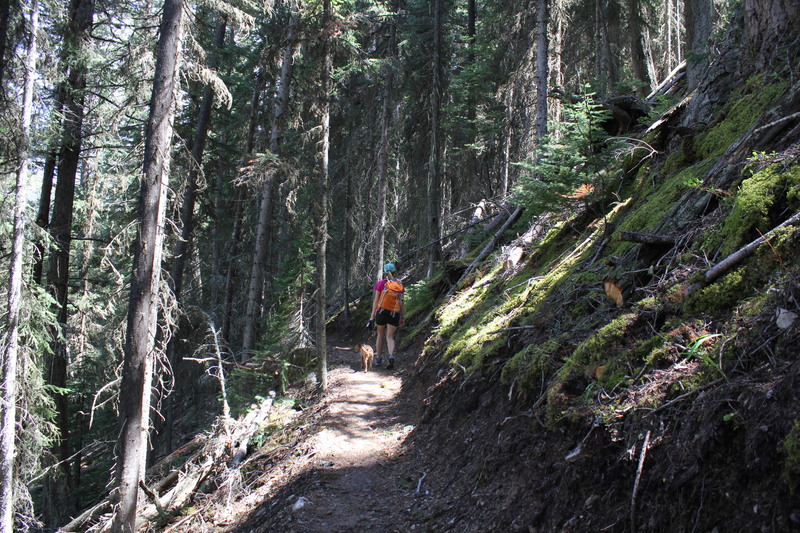 On the first weekend, we went on two very different hikes. 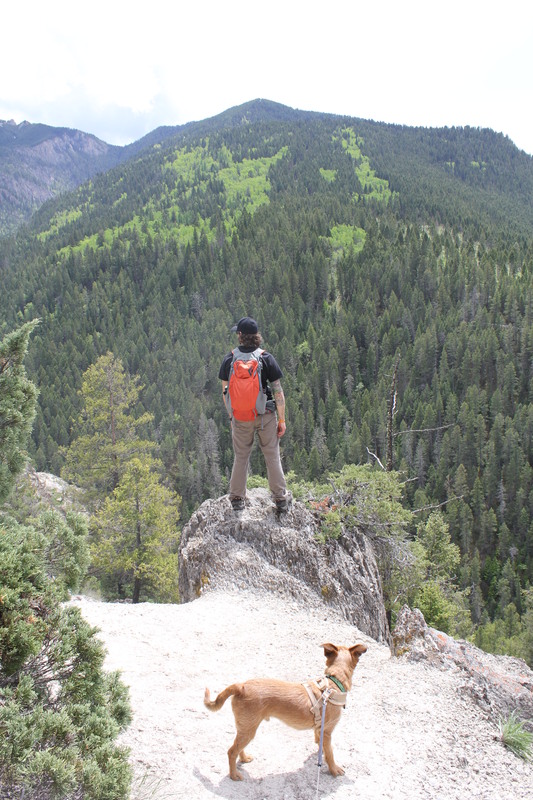 One was a typical mountain hike that started at Sinclair Creek and went up and up! We ended at the hot springs but had Harold with us so didn’t go for a dip…this time! 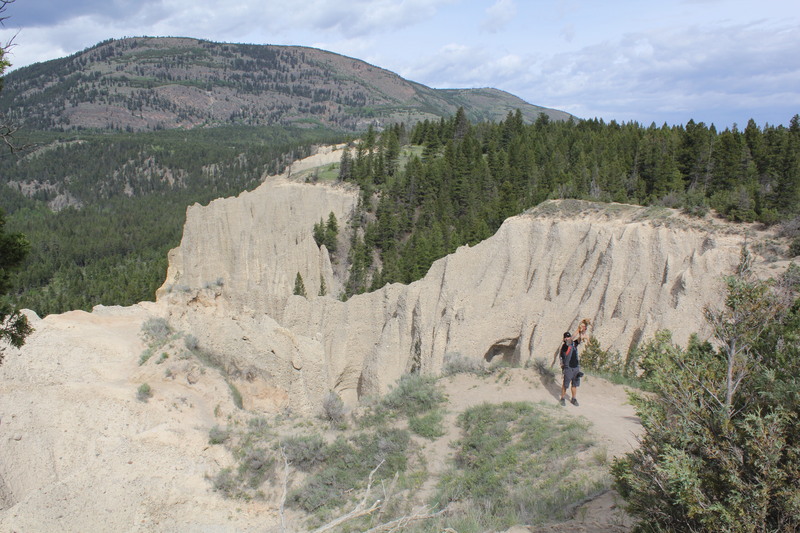 The second day we did a short hike around the hoodoos near Fairmont. I was terrified of going close to the edge, but Kelly had no fear! 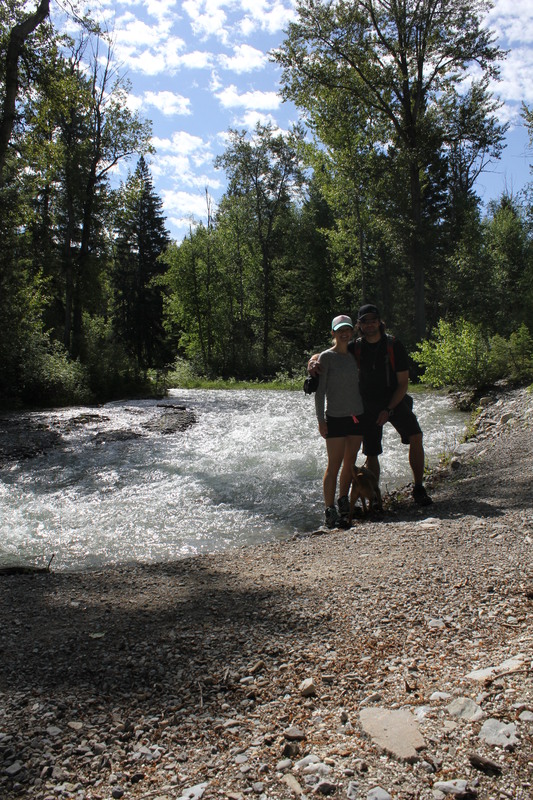 This past weekend we went on two more gorgeous hikes. On Saturday we went to Mount Swansea, which is a downhill biker’s dream! They also have hiking trails. We ended up taking the long way up, but I’m glad we did as it was longer (got my sweat going) and had various lookouts! We saw a bunch of hang/paragliders, and at the top we saw the launch pad. My stomach felt weak watching them floating in the air! 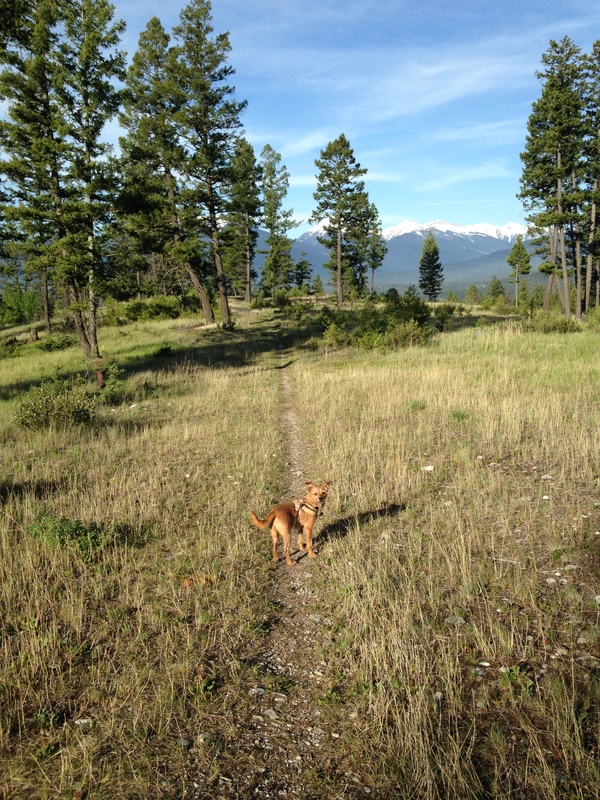 The next day Kelly went for a trail run in the morning; yup, my heart was broken! Then we went on a walk close to town along the creek. Harold was pretty tired, so it was nice to walk mostly flat ground. And my quads were trashed from coming back down the mountain! The bears are out in full force. On our drive on Friday we saw a bear rubbing his scent on a tree, and one crossed the road right in front of us! 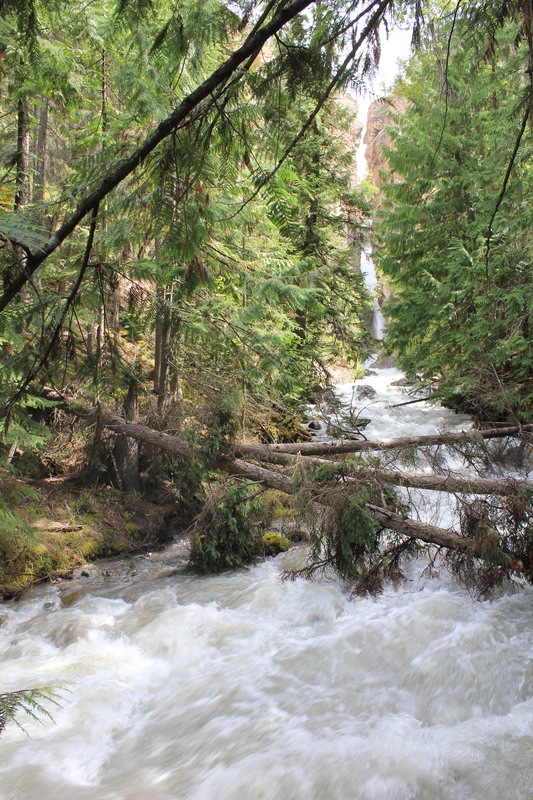 They had a lot of hikes temporarily closed while the bears are predominately in the valley bottoms. I can’t wait to get back out to the mountains and explore more of the area! I know Harold’s excited, too!